Classic crew neck tee features Ichabod mascot on the front left breast side with Alumni cursive graphic underneath. 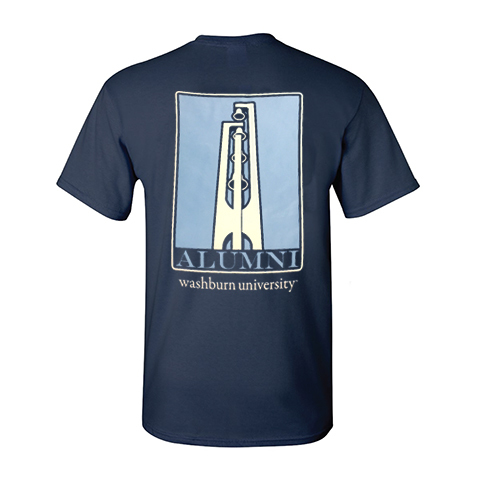 On the back, a bell tower with Alumni and Washburn University graphic. 100% Cotton. Made in Haiti. Please select option for Tee - Alumni Bell Tower.